This pendant is so pretty with all the twisted argentium wire framing it. Curls and swirls but, just enough not to hide the true beauty of the stone. 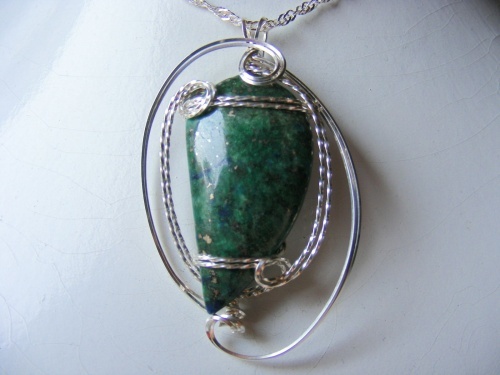 The stone is deep green variscite so named because it has some crystaline dots in it that sparkle when it hits the light. Comes with a sterling silver chain.